Competition proposal, 2012. In collaboration with Leticia Wouk Almino. 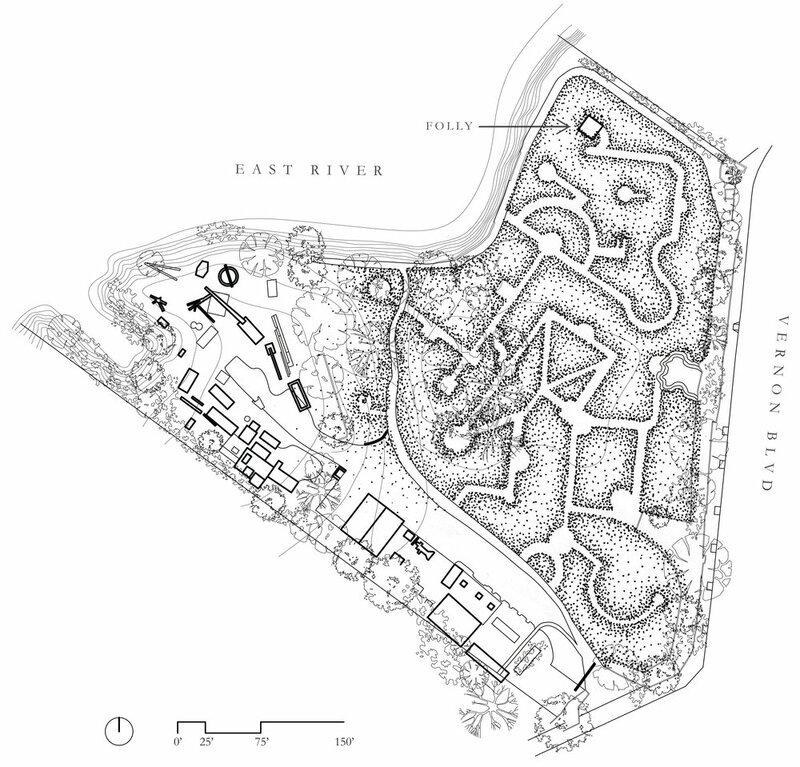 This pavilion draws on the history of garden follies and their relationship to landscape design, defining its site in a figural labyrinth mowed into the lawn of Socrates Sculpture Park in Queens. The massing of the folly is based on the structural poché of Baroque historical precedent, reinterpreted through scalar shifts and a whimsical use of modernist plan-section translation. The pavilion is inward-looking, enveloping the occupant in an artificial interior landscape created with astroturf lining, the use of reflection to visually extend the interior, and a single, figural aperture opening to the sky.